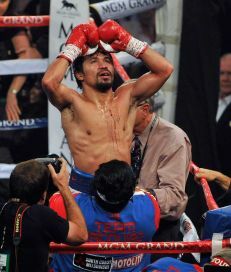 Floyd Mayweather Jr. vs. Manny Pacquiao live coverage round by round of the Fight of the Century in Las Vegas. HBO says"There are more orders tonight than any night in PPV history.Fans should just be patient and distributors will process their orders"
Jimmy Kimmel with the Pac-Man T-0shirt. Clint Eastwood here, too. #MayweatherPacquiao is an expensive ticket and all, lots of celebs, but hey, it ain't Ali-Frazier I at #MadisonSquareGarden. 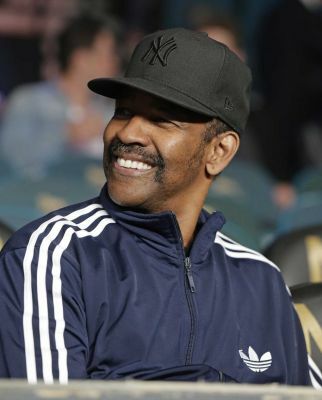 Denzel Washington, Reggie Miller and more celebrities arrive for the fight. 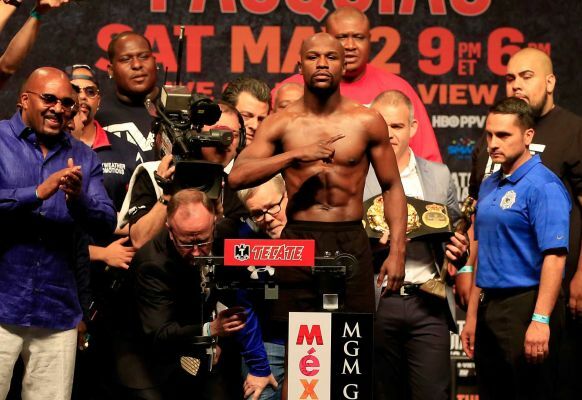 Mayweather vs. Pacquiao: Who has the edge? 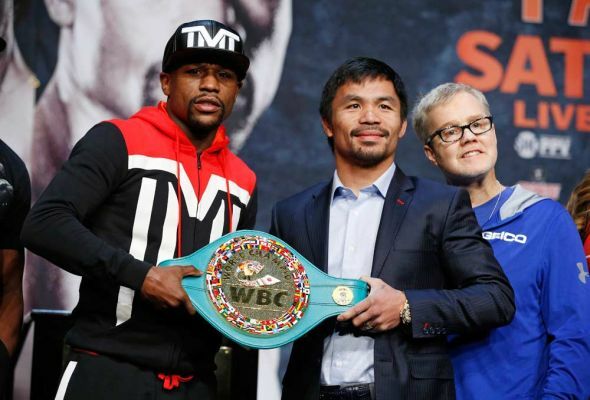 NewsdayAs the May 2 fight between Floyd Mayweather Jr. and Manny Pacquiao draws near, which boxer has the edge in each category? NewsdayWe now are less than three weeks away from the much-anticipated Floyd Mayweather Jr. vs.
Take it from Twitter time line there's pretty good basketball game on now after #KentuckyDerby in afternoon leading to #MayweatherPacquiao. First live shot of @MannyPacquiao in dressing room on video board draws mild cheer at #mgmgrandarena. Sounds like #SpursClippers should have ended with #Buffer saying, "...and new..."
Warmup acts have been boring, but I truly expect #MayweatherPacquiao to get off to a roaring start. Gotta be ready for early surprises. Taffet told SI there could be about 45-minutes of fill time before the main event. Said ordering problems were nationwide. Tantalizingly close to perhaps the most anticipated sporting event of the year, many cable and satellite customers are complaining they can't watch the fight. Scores of angry tweets directed at various television providers complained of problems ordering or watching the Floyd Mayweather- Manny Pacquiao fight on Saturday night. Some users said when they tried to order, the fight wasn't available. Others complained of picture problems or an inability to tune to the pay-per-view channel. Customer service Twitter accounts for Dish Network and Cox Communications asked users whether they ordered standard definition or high definition feeds of the fight, indicating there may be issues with the standard definition feed. A similar account for DirecTV referred users toward a troubleshooting website. The bout is expected to be the most popular in pay-per-view history, with an estimated 3 million households buying the fight at nearly $100 each. "We're seeing and gracefully managing a lot of demand — which is a good thing," Dish Network spokesman Bob Toevs said. Saw someone rush to ring with Philippines flag. Thought #pacquiao was on way. False alarm, though. 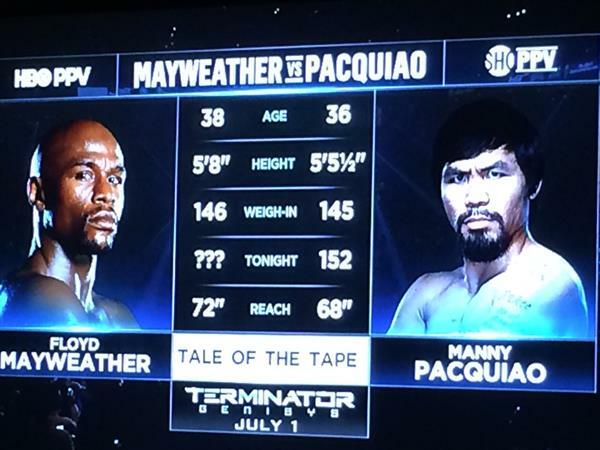 Honestly, part of the #PacquiaoMayweather story now is which fighter handles this delay best & is ready to start fast. Here we go. jimmy Lennon jr. On the microphone to introduce the anthems. Boxing may be the only sport where the athletes aren't present for the singing of the national anthem. The King from the Burger King commercial is backstage with mayweather now awaiting the walkout. Get ready, folks. Here come the fighter intros. Jimmy Lennon up first with It's showtime. Not really sure we need a cutaway to a taped intro from Diddy and Wahlberg here. 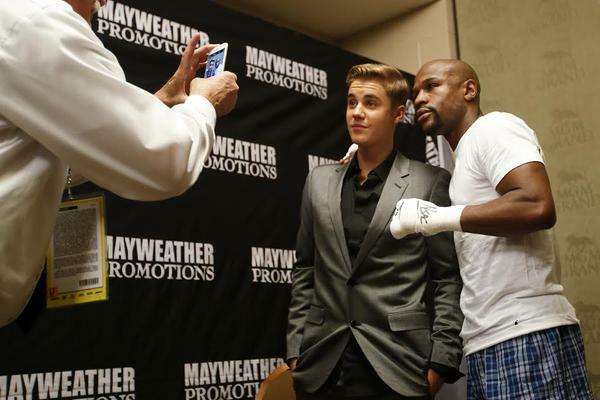 Jimmy Kimmel walking out with Pacquiao, dressed up like Bieber. Outrageous. There is no better circus than boxing. Freddie a Roach takes a selfie with Manny on their way out. Expect to see that on a promoted tweet soon. Guessing that's worth a few grand to whoever paid for it. As pacquiao enters the ring, I'm still amazed at how the first time the world saw him and Mayweather in the same photo was at a Heat-Bucks game. 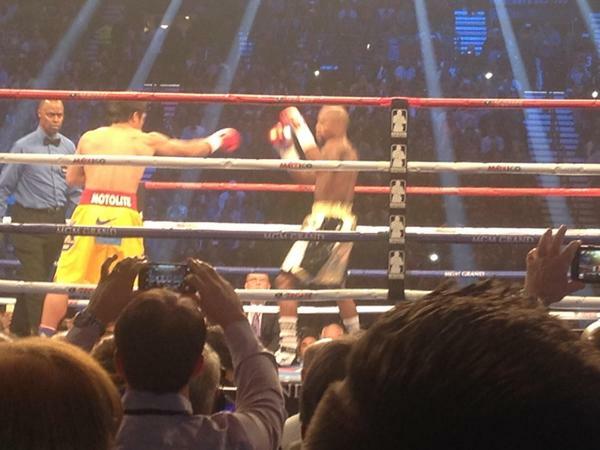 Mayweather has FanDuel logo on his shorts. 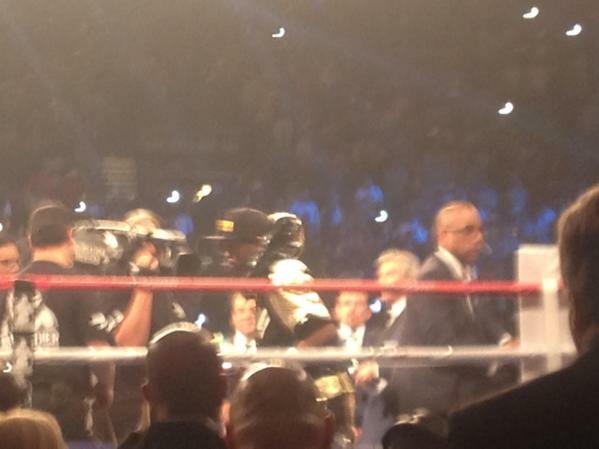 Mayweather now in the ring. Llllllllets get ready to rumble!!!!!!!!! Michael Buffer's voice doesn't sound 100% tonight. Fighters touch gloves and here we go!!! !